Recently named one of ‘America’s Most Exciting Cities,’ Oakland, California is the less populated sister of San Francisco just across the bay. Its proximity to a satellite of attractions, including the famed California wines region of Napa Valley a drive just an hour and a half to the north, make it an ideal launching point to explore by Oakland motorhome rental in California. From Oakland, drive to San Jose, less than an hour south by Oakland motorhome rental. There you can take a Redwood canopy tour at Mount Hermon. If you are a vertical adventure enthusiast, Mount Hermon’s zip lines and sky bridges will surely delight. 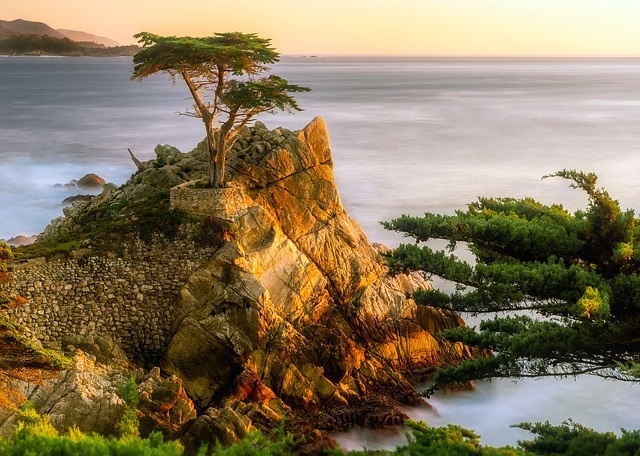 Continuing south to Monterrey, drive your campervan rental in Oakland for 17 miles from Pacific Grove to Pebble Beach; a stretch of road generally considered to be one of the most scenic drives in the world. Heading south from Monterrey, be sure to take the coastal road. This runs between the ocean and the Santa Lucia Range of mountains for the best scenery. This road comes to an end at the same place as the Santa Lucia Range, in San Luis Obispo. This picturesque mission town in America hasn’t seemed to noticeably change in the last 100 years and is still an active mission today; so if you want to get a glimpse of California’s past, a short stop here might prove educational. From San Luis Obispo, head to Morro Bay on your RV rental in Oakland. Here a magnificent rock stands aloof in the bay; a rock that has significant importance to the local Native Americans. Farther south, stop off in Santa Barbara, one of the most beautiful towns in California where the attractions include the magnificent buildings of the Mission Santa Barbara and the Santa Barbara County Courthouse. The un-missable sign of Hollywood beckons about an hour farther south from Santa Barbara. With your campervan hire or motorhome rental, treat the kids to the wonders of Disneyland and the adults to the hedonistic delights of Los Angeles. If you need to take a breather, head north and drive your RV to Simi Valley and on to Bakersfield. Bakersfield marks the start of your drive through the San Joaquin Valley, which is rich in farm land and recreational facilities. This is a valley that is not to be rushed through; so take your time and sample some of the excellent dishes along the way. Halfway through the valley you will come to Fresno; where, among other attractions, you can look up the night sky at the Downing Planetarium. 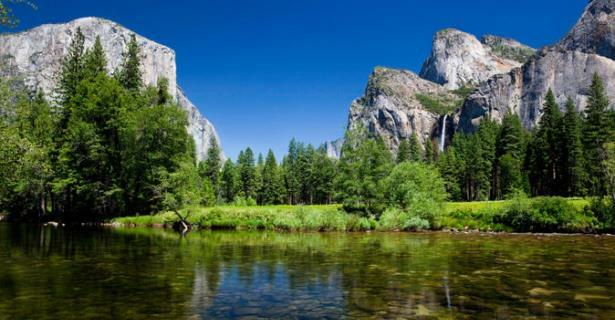 From Fresno you can divert northeast to tour the Yosemite National Park just a little more than an hour away by Oakland motorhome rental or campervan hire. This trip may prove to be a bit out of the way; but the rewards in terms of scenery and recreational opportunities are immense. For starters, rock climbers would have a chance to test their mettle on the 3,000-foot sheer granite face of El Capitan; and tree huggers would have a field day under the canopy of ancient giant sequoias. There are also glaciers, deep valleys, grand meadows and waterfalls to be had; more than enough outdoor diversion to keep the avid nature lover occupied for days. On returning your RV rental in Oakland, you will be able to reflect on a very diverse touring experience – from the beauty of the Pacific coast to the vastness and feeling of isolation that the beautiful Yosemite conjures up.